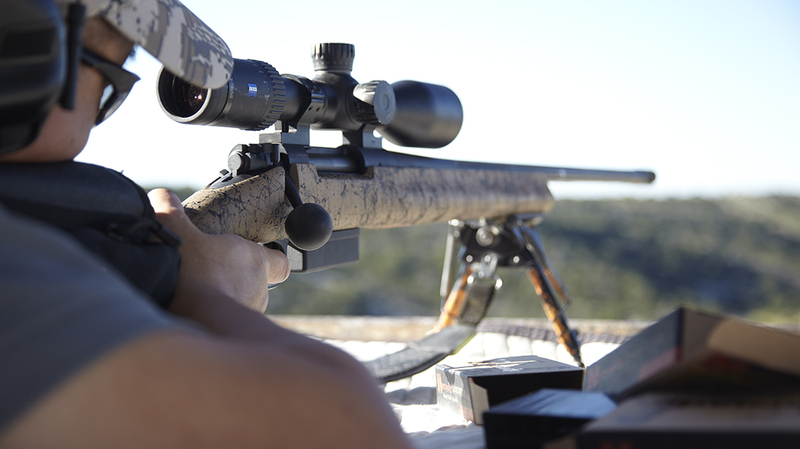 Monolithic bullets offer controlled expansion for increased knockdown power, making them highly effective for hunting. 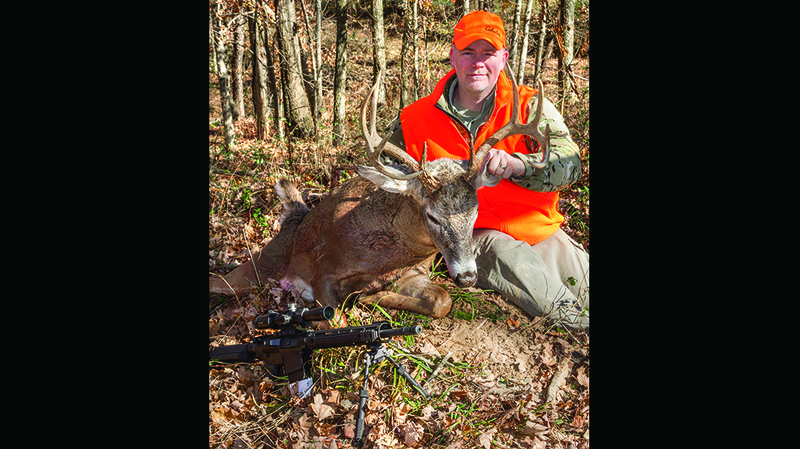 This huge-bodied 10-pointer fell to a 168-grain Nosler E-Tip fired from the author’s 16-inch barreled .308. 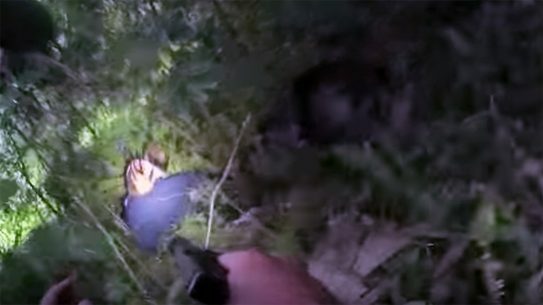 The bullet easily passed through the buck’s chest and buried into the hillside. Internal damage was extensive and impressive; the buck fell within yards. 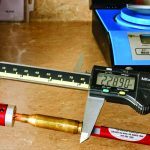 Establishing initial cartridge overall length requires measurement of overall length at lands contact for each type of bullet you load. Monolithic bullets often shoot best with significant “jump” to lands. If you’re new to loading monometal bullets you may want to start with a factory load that shoots well in your rifle. 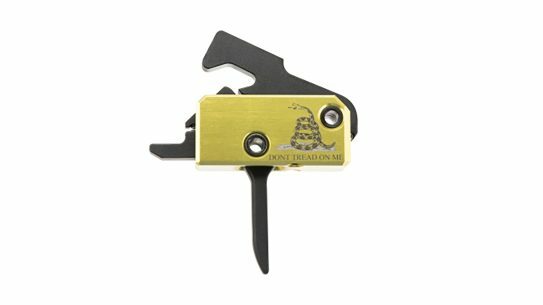 This will provide the seating depth and velocity range that you can mimic with your handloads. Sometimes monolithic bullets shoot so well from factory ammo that a handloader may be tempted to take the weekend off from the reloading press to spend time doing something useful like yard work or golf. Alright, probably not. 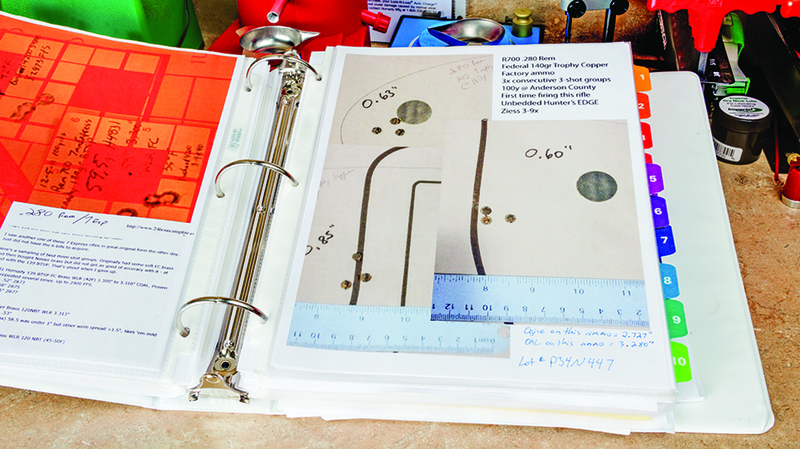 These 140-grain Trophy Copper loads from Federal made the Author’s 280 Remington shine, though. 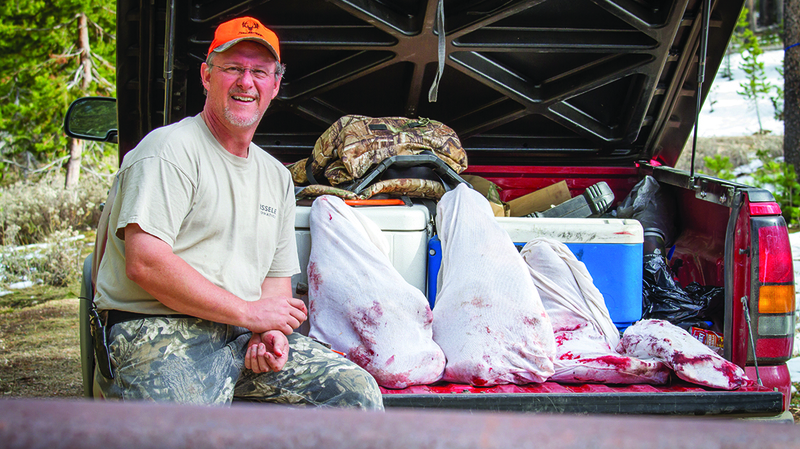 Monolithic bullets like the Hornady GMX, Barnes LRX, and Nosler E-Tip put meat on the table. Here, the editor’s elk, a young Wyoming bull, will make outstanding steaks and roasts. A Barnes 168-grain TTSX launched from a .300 Winchester Short Magnum made devastating wounds leading to nearly instantaneous death. Monolithic bullets for hunting are available from most major manufacturers, and even some minor ones. These projectiles are increasingly popular because of their excellent performance on game and non-toxic properties. 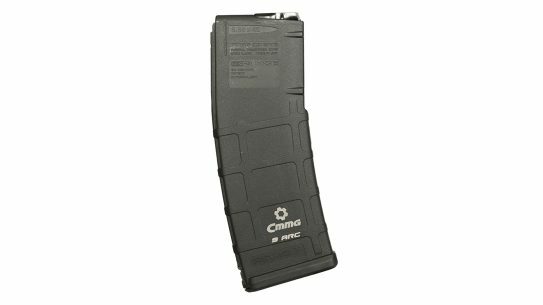 These bullets come with some important characteristics and limitations in use, requiring some specific loading processes. 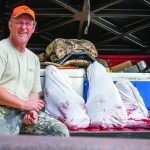 We’ll discuss these, and how to maximize the effectiveness of your monolithic hunting load in this article. Monolithic bullets are made from one homogeneous piece of material. Most of the monolithic projectiles marketed to hunters fall into one of two categories: all-copper bullets or copper alloy bullets; the most common of which is gilding metal. Gilding metal is the same material used to make the jackets found on most bullets. 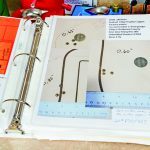 Both styles are usually stamped from a blank that has been cut from a rod or wire composed of raw material. Some specialty monolithic bullets are made of lathe-turned brass or more exotic metals; those are generally aimed at target shooters. 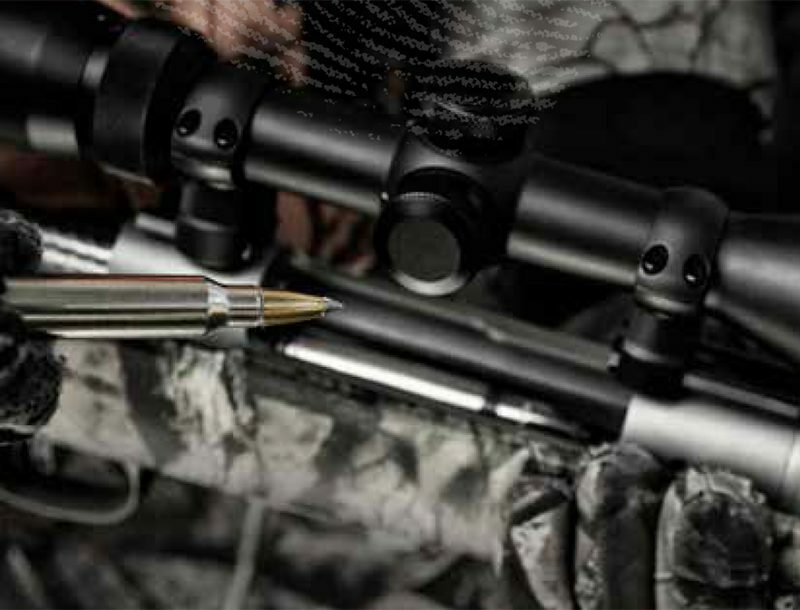 The most-common monolithic bullets marketed to hunters today are the Barnes Triple-Shock X (TSX), the Tipped TSX, Long-Range X, the Hornady Gilding Metal eXpanding (GMX), and the Nosler E-Tip. 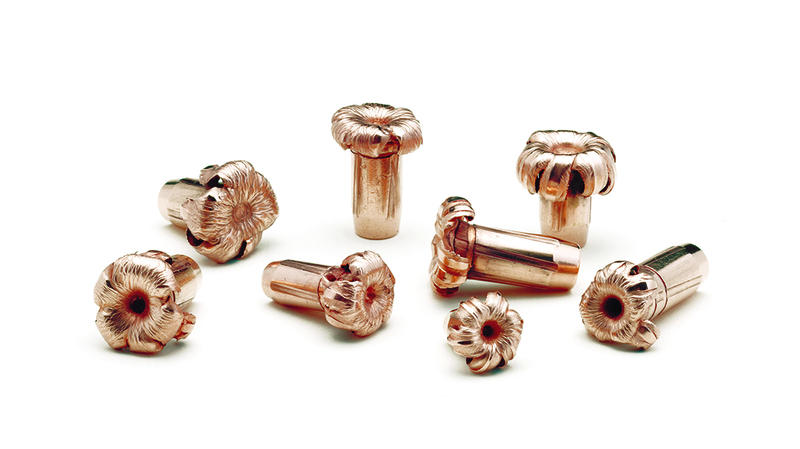 The Barnes bullets are all-copper, while the Hornady and Nosler offerings are made of solid gilding metal. All of these bullets have failure points pre-formed into their noses to ensure quick and consistent expansion. The TSX has an exposed, open tip while the rest have a polymer insert in their nose. This polymer tip serves several purposes, just as it does on lead-core bullets. Most importantly, the polymer tip creates a consistent nose size and shape, and helps initiate expansion of the projectile upon impact. All but the E-Tip have relief grooves formed or turned into their bearing surfaces. These grooves help reduce pressure and bore fouling by reducing the amount of bullet that contacts the bore. 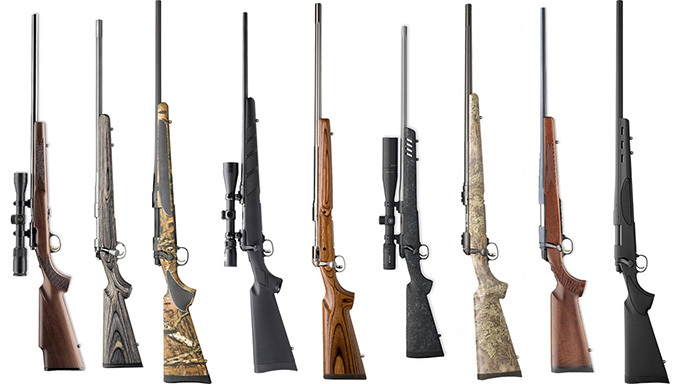 Much of the drive towards the use of monolithic bullets is due to their consistent weight retention and deep penetration on big game animals. This has benefits beyond the obvious. 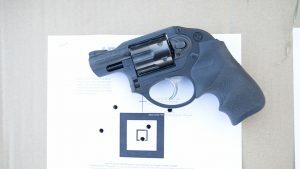 With monolithic bullets that retain nearly 100 percent of their weight, the shooter can step down in bullet weight by a significant margin without giving up penetration. For example, most elk hunters using standard lead-core bullets would insist that the proper .30-caliber bullet for elk should weigh 180 grains or more to ensure that the bullet penetrates deeply enough to make it through the elk’s vitals. With lead-core bullets this makes sense and works fine. If that bullet retains 60 percent of its original weight, a fairly typical amount, then where does the other 40 percent go? 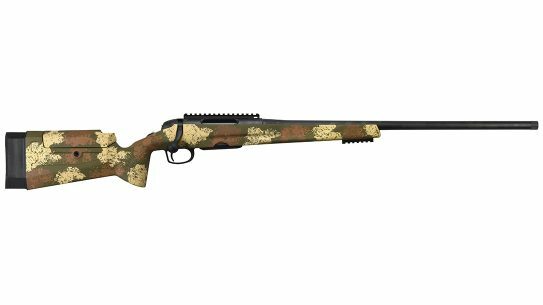 Though that bullet started out as a 180-grain pill, during its travel through the animal it becomes a 160-grain bullet, then a 140-grain bullet, then a 120-grain bullet and finally weighs around 108 grains when it comes to rest within or beyond the animal. The bullet that starts penetrating like a 180-grain bullet is soon penetrating like a 108-grain bullet. See the problem? 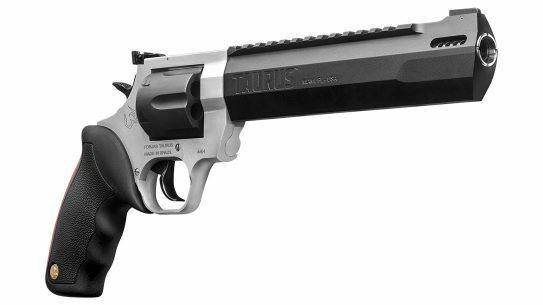 Contrast that with the monolithic bullet that retains 99 percent of its original weight. That bullet starts out penetrating like a 180-grain projectile. Halfway through the animal, that bullet is still penetrating like a 178-grain projectile. 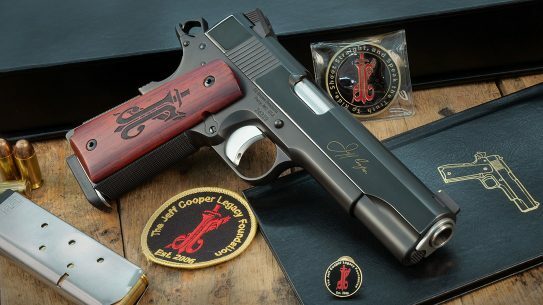 When the bullet finally comes to rest it still weighs 178 grains. Looking at the end state of each bullet, we can compare the penetration potential of a 108-grain bullet versus a 178-grain bullet. Clearly, we have to start with a heavier lead-core bullet in order to have enough mass left to penetrate once 20-40 percent of that bullet has disintegrated within the animal. The monolithic bullet doesn’t share that problem. We can start with a 150-grain bullet. In addition, we’d still have more bullet left on the far side of the animal than we would with the heavier lead-core bullet. 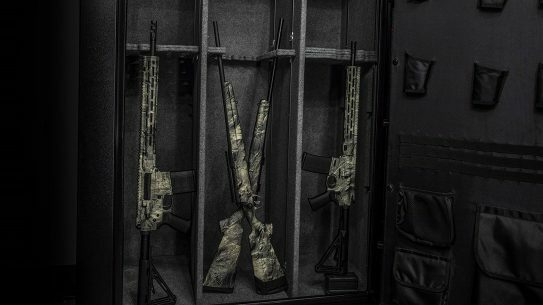 That simple fact provides monolithic bullets with one of their biggest advantages. We can enjoy the reduced recoil and flatter trajectory of a lighter bullet launched at higher velocity without sacrificing tissue penetration. 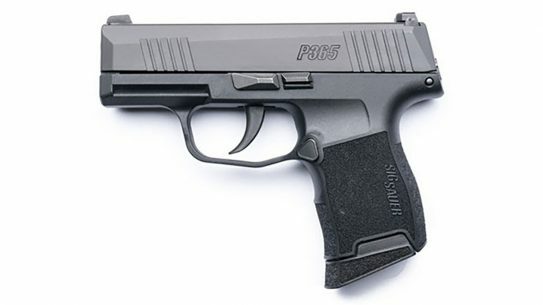 In fact, the 150-grain monolithic will actually out-penetrate some 180-grain lead-core bullets. Life is not all puppy dogs and cupcakes in the land of monolithic bullets, however. Copper and gilding metal are both less dense than lead. As a result, a 180-grain monolithic will be longer than a 180-grain lead-core bullet of the same diameter. This may or may not be an issue for your application. In any event, the longer bullet will usually protrude further into the case. It will take capacity that could have been used for powder in the process. 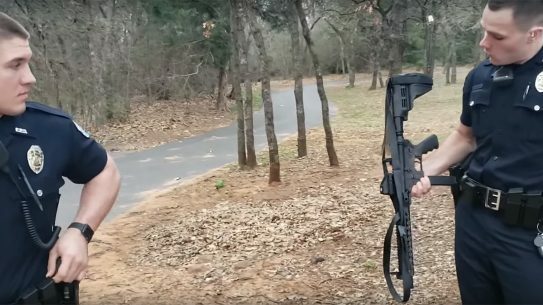 If you have a relatively short magazine in your rifle, this may become problematic. Fortunately, dropping down in projectile weight a step or two helps alleviate this. 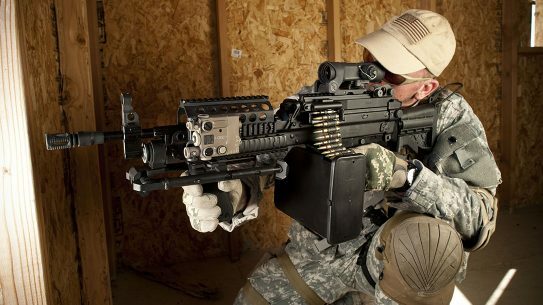 Another issue that can’t readily be avoided is that for any given form factor the monolithic’s lower mass and density will reduce the ballistic coefficient of the projectile. This is exacerbated by the friction-reducing relief grooves that are made into several of the most popular monolithic models. These grooves cause disruption of the airflow over the surface of the bullet, increasing drag in the process. Monolithic bullets are also “harder” than most lead-core bullets. Copper and gilding metal resist deformation better than lead. 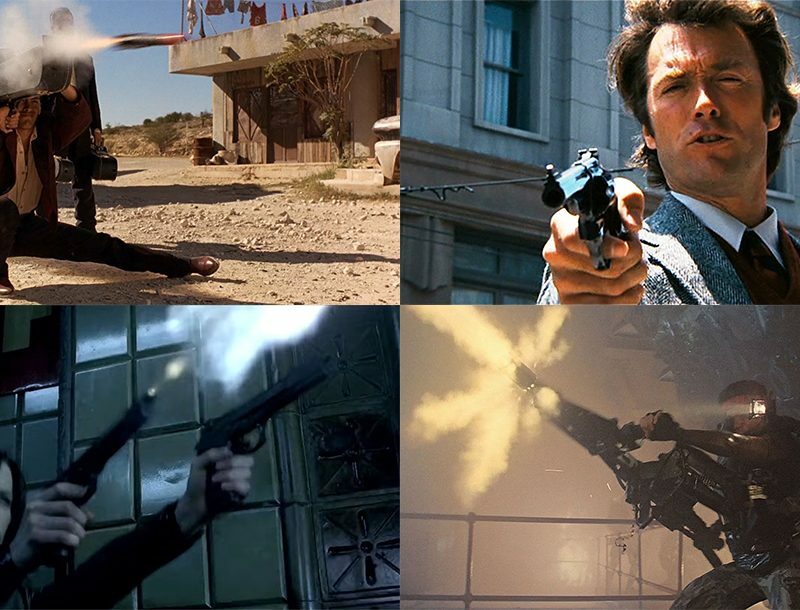 Therefore, bullets made entirely of those materials are obviously harder than their lead-core counterparts. The downside to this is that more energy, i.e. velocity, is required to expand these bullets than is required to with lead-core bullets. Where lead-core bullets may expand with an impact velocity of 1,500 feet per second, copper bullets may require 1,700 feet per second upon impact to initiate proper expansion. Gilding metal is a bit harder than pure copper. Therefore, an impact velocity of 1,800 feet per second may be required. The expansion threshold is also different for each manufacturer’s monolithic bullet. 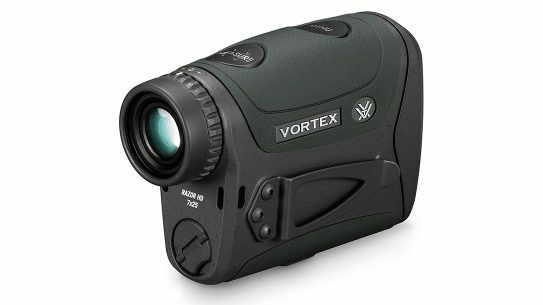 Check on the requirements for your model in the specifications and data tables for your bullet. This is especially important when there are multiple models of the same diameter and weight. 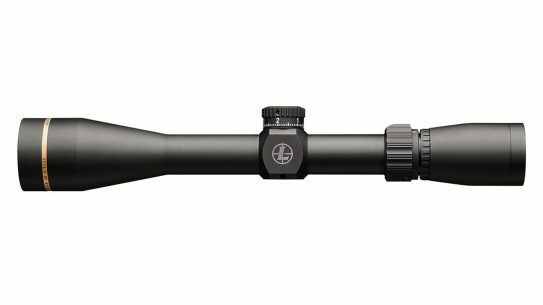 Barnes makes more than one .308-diameter 110-grain Tipped TSX bullet, for example. 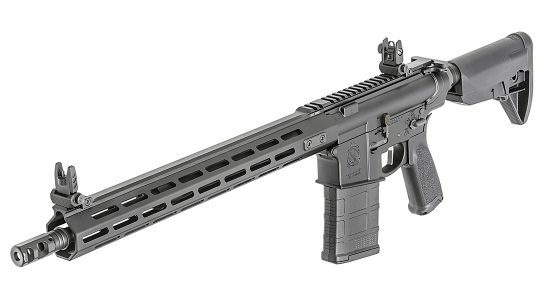 One is made specifically for the 300 AAC Blackout, and has a lower velocity threshold than the other 110-grain model. Fortunately, the need for speed is a self-solving problem if you step down in bullet weight as previously discussed. Knowing your expansion threshold and its effect on your ability to kill animals at long-range is absolutely critical. This is also discussed in my article titled Long-Range Hunting, found elsewhere in this magazine. Loading monolithic bullets successfully, while similar to loading conventional bullets, does have its own requirements and considerations. One that’s already been touched on is the harder composition. Where the relatively soft lead is readily squeezed into shape during engraving and obturation and as the bullet travels through the bore, copper and gilding metal take more force to engrave, therefore allowing pressures to build slightly behind the bullet as this process occurs. The relief grooves in the bearing surface of some monolithic bullets minimize this issue, but it is a definite consideration that affects your loading data. In fact, Nosler suggests that middle of the road data for their other bullets be considered max charges for their monolithic E-Tip. As mentioned earlier, the E-Tip doesn’t have the relief grooves of some other makes, but nonetheless performs wonderfully on game. 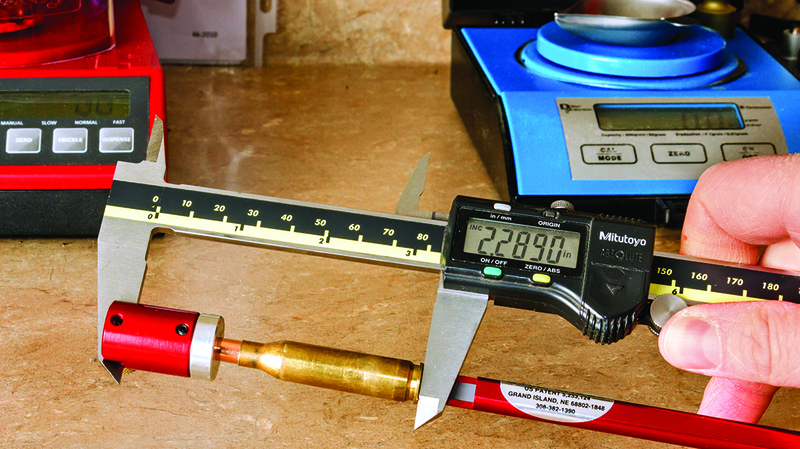 Barnes bullets also offers specific load data developed for their monolithic projectiles. Using this data removes any potential discrepancies between data developed for jacketed lead bullets and monolithics. 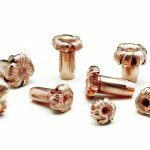 One thing to keep in mind is that the relief grooves on copper and gilding metal bullets that feature them are not intended for use as a cannelure, or crimping groove. Another peculiarity that is fairly consistent, though not universal among monolithic projectiles is that they are more accurate when “jumped” to the lands a greater distance than match or VLD-type bullets prefer. 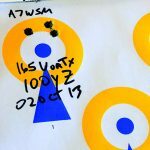 Many times I’ve begun load development with copper or alloy bullets only to be disappointed with the accuracy I achieved until I backed the bullets further away from the throat. This is the case so often that I now start loading cartridges to place the bullet at least 0.050 of an inch from the lands. Quite often I don’t find accuracy until the bullet is jumping 0.080-inch to the lands. One of my ARs in 6.8 SPC shoots one-hole ragged groups with the 100-grain Hornady GMX loaded more than 0.100-inch away from lands contact. Contrast that with just about every match rifle I own, shooting best with as little as 0.010-inch of bullet jump. Notice the difference in the placement of those ones and zeroes. The best theory I’ve heard to explain this says that the additional engraving force required to push the harder monolithics into the bore needs more of a running start than the softer bullets do. In the end, the why isn’t the important part. Just remember that you may need to back off the lands considerably more than you will if using match-type or other thin-jacketed lead-core bullets. 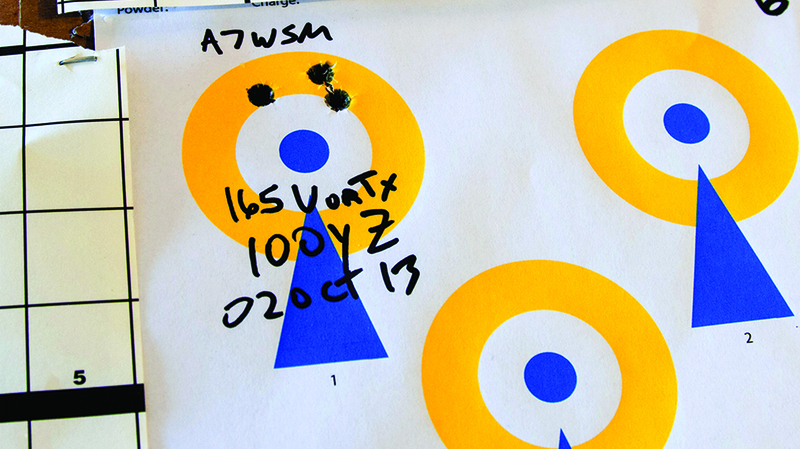 Knowing your limits with monolithic bullets means watching for pressure signs during load development. 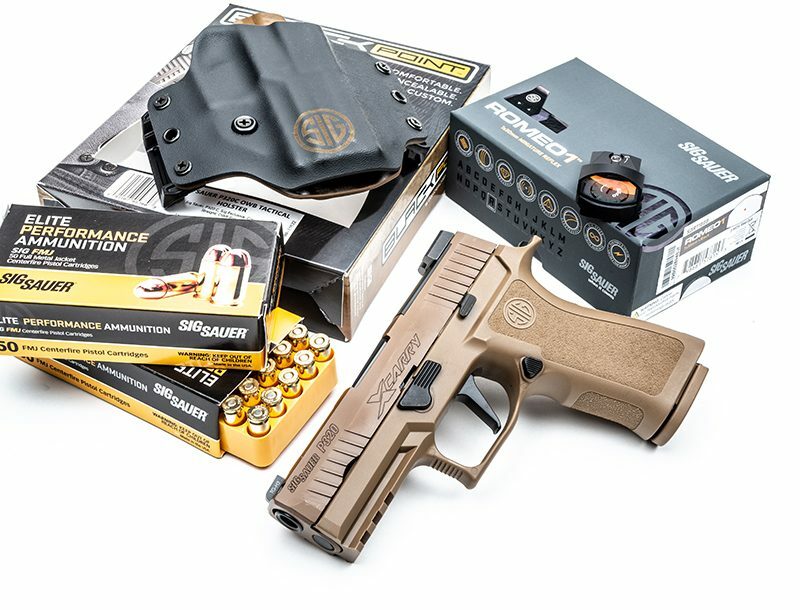 Understand the expansion characteristics of your projectile and what that means for your effective shooting range. Watch those two issues and give monolithic bullets a try. You may also be as impressed by their on-game performance as I have been. 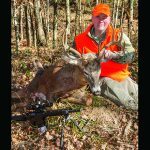 In fact, I’ve used copper and copper-alloy bullets exclusively for big-game hunting for nearly the last decade; at this point, I don’t see any reason to ever go back to lead-core bullets. Good hunting.